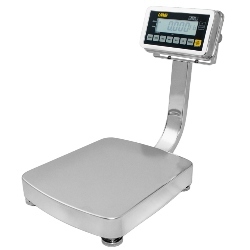 UWE PS2 scale includes Heavy Duty All Stainless Steel Construction, Rechargeable Battery, Large Backlit LCD Display and Stainless Steel Load cell. Stainless steel platform, pillar, indicator, load cell and housing - easy to clean for food processing or harsh environments / wash down resistant. Reads in g, lb, lb:oz. UWE PS2 scale includes heavy duty all Stainless Steel construction, rechargeable battery, large backlit LCD display and hermetically sealed Stainless Steel load cell. 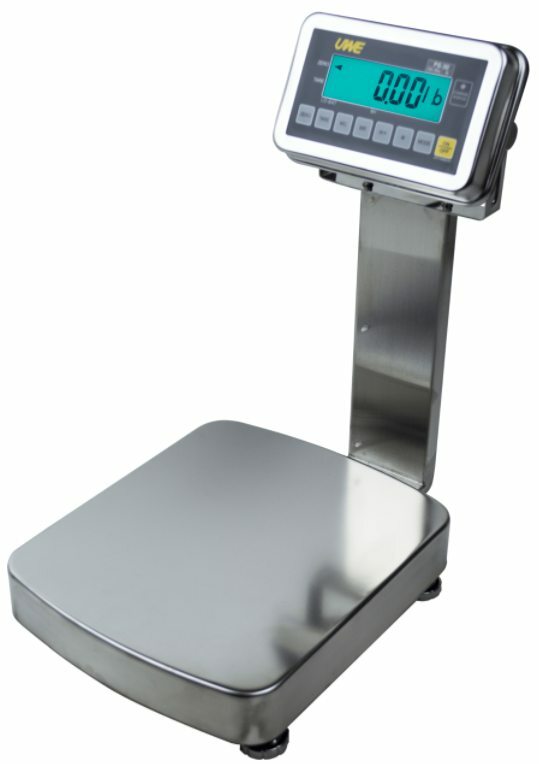 This scale is available from authorized distributor, Central Carolina Scale located in Sanford, NC. The PS2 features stainless steel platform, food safe open pillar for easy cleaning, stainless indicator, load cell and housing - easy to clean for food processing or harsh environments / wash down resistant. Reads in kg, g, lb, oz.